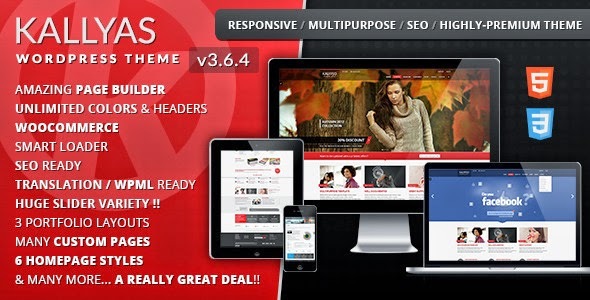 Kallyas is an ultra-premium, highly-responsive Wordpress Theme built for today websites. It's super flexible, clean design (and code), without modesty, one of the most complete theme ever created. It has the latest techologies and trends and it can be used in a huge variety of domains.